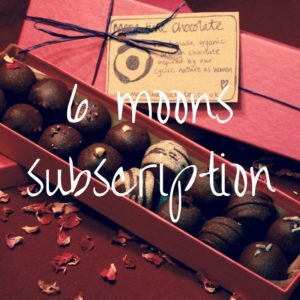 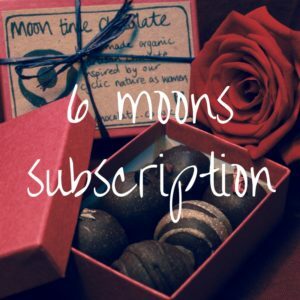 6 moons subscription of a little gift box with 8 truffles in. 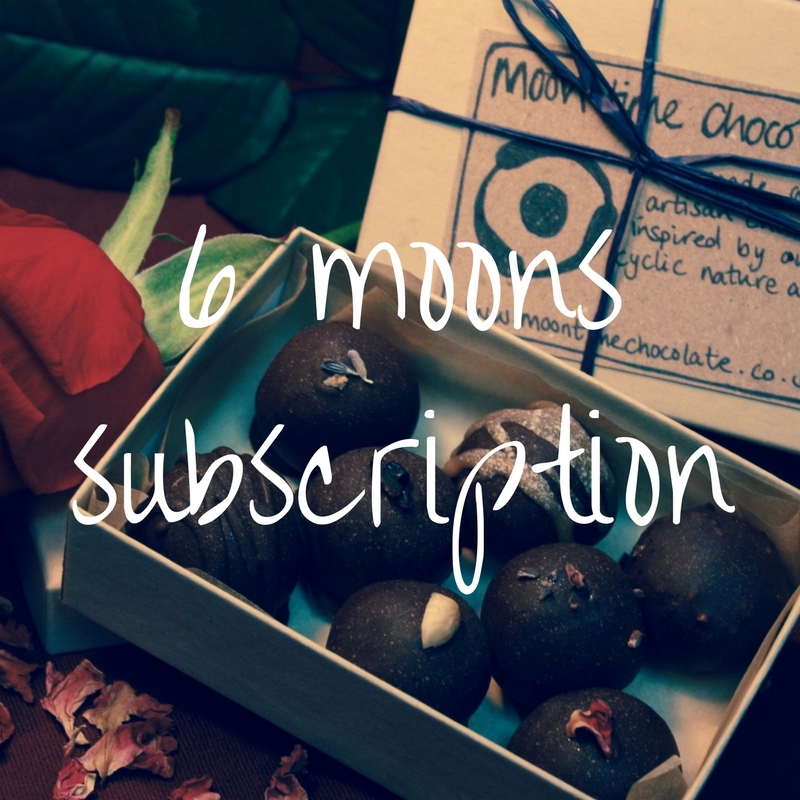 Cost £65 ~ would cost £70.20 if you ordered individually. If you would like a custom selection ~ please use the ‘notes’ section when placing an order ~ otherwise the box will contain one of each flavours.